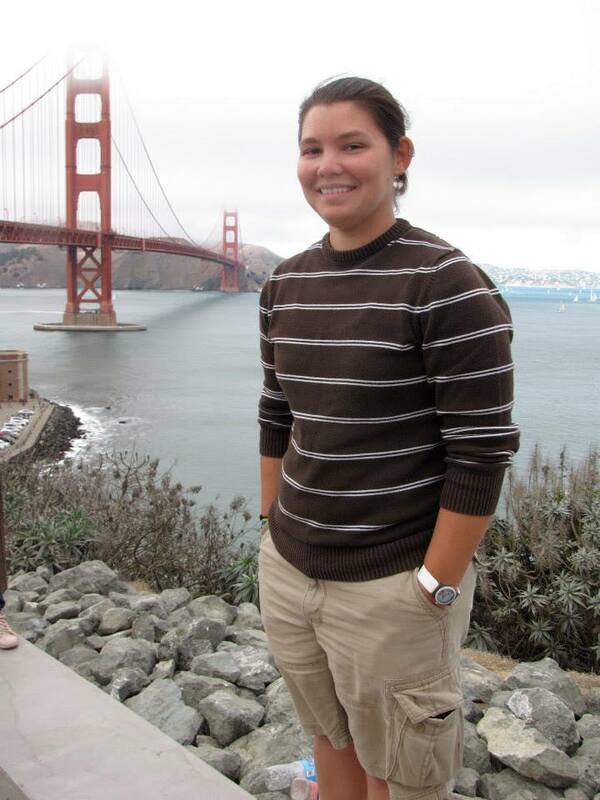 Ava Swanson is originally from Harrisburg, Oregon. She graduated from LCC and UO before entering LTS. When she needs to destress from grad school responsibilities, she likes to play catch, eat burritos, and pet her fluffy guinea pigs. Why did you decide to join the LTS program? 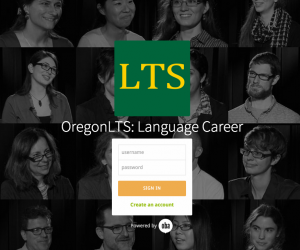 I came to the LTS program two years after completing my undergrad at University of Oregon. I studied Spanish, Latin American Studies, and also obtained a SLAT certificate. I worked some odd jobs after graduation and was trying to decide my next step. I knew it would be related to language teaching, so I interviewed some of the language teachers I knew about their personal and professional experiences that helped them get their current jobs. It was during an interview with Laura Holland, my former SLAT instructor, that the LTS program was brought to my attention. The program offered what I was looking for in terms of my professional development. What is the topic of your MA project? My project is a materials portfolio for teachers of low-level immigrant students in a community ESL community. It’s based on the fact that while many immigrants move to the US for better economic and professional opportunities, many don’t have access to these opportunities if they aren’t literate in English. My lessons will use children’s literature books to help low-level students develop their literacy skills. An additional focus of the project is teaching these parent-students how to share the books read in class with their young children. This helps parents practice their reading skills, develops children’s emergent literacy skills, and creates a culture of literacy in the home. I chose to investigate literacy and children’s literature because I definitely grew up with a culture of reading in my home. My dad read to me often when I was young and trips to the library and bookstore were a regular occurrence. I still have a lot of my childhood books on my bookshelves. I love re-reading and sharing them with my younger family members as an adult. I chose to focus on immigrant students for my target audience because I’ve met and learned about some really amazing people who have come to the US for better opportunities for themselves and their families. It can be really difficult to settle in a new country, especially when you don’t speak the majority language. What are you looking forward to the most in your remaining time in LTS? Now that we’re nearing the end of the program, I’m really looking forward to showing my finished project to my family. They’re really happy that I’m pursuing my educational goals and my dad and my girlfriend have been especially supportive. I can’t wait to hand them my finished portfolio! 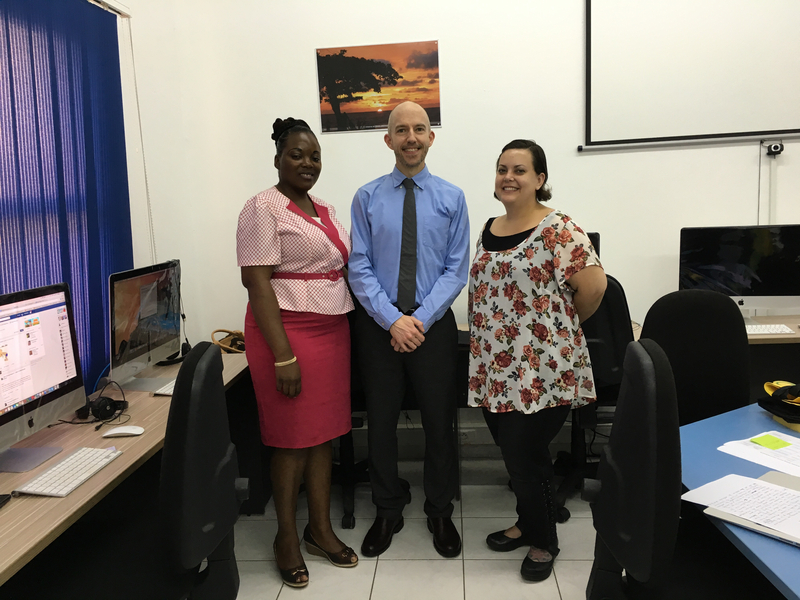 Andy in the new English Language Center in Libreville, Gabon, with Brenda and LTS alum Tiffany VanPelt. I’m a faculty member of the American English Institute, and I’ve been teaching in LTS for 2 years. I generally teach LT 436/536 in Spring (the Language Teaching Planning course). I’ve also served as an advisor on the final projects of LTS graduate students. What else do you do in your work and teaching? Lately I’ve been doing a lot of work in the Innovative Programming unit of the AEI. I’ve worked on the development and design of our upcoming MOOC for English language teachers, and I’ve also just completed an online webinar through American English that talks about how to get the most out of your online teaching and learning experience. I’ve enjoyed being involved with educational technology here at the University of Oregon because it relates to my research interests in social media and how platforms such as Facebook and Twitter can be used to enhance language learning opportunities in a number of diverse ways. I’ve also recently been involved in our partnership with the Gabon Oregon Center and I had the opportunity to spend two weeks in Gabon to deliver a scientific writing workshop to university faculty there. Where were you teaching before you came to Oregon? Before coming to the UO, I spent two years in Thailand as an English Language Fellow (ELF) with the US State Department. 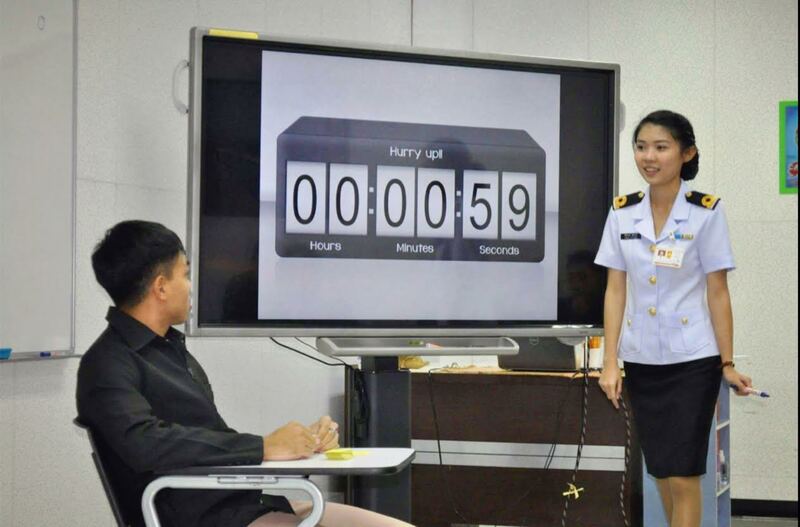 While in Thailand, I primarily did teacher training work, and I also had the opportunity to teach a weekly English course to high-schools students which was broadcast on television. What do you think are some of the best perks of being a language teacher and teacher educator? For me, the biggest perk about this type of work is the people you get to interact with on a regular basis. I’ve met and worked with teachers and students from all over the world, and I’ve broadened my understanding of education significantly. My recent trip to Gabon is a good example. I’d never had the chance to visit West Africa before, but the experience was amazing. I felt like I was able to improve the writing skills of the workshop participants, but, as often happens when I travel for work, I honestly felt like I took as much if not more away from the experience as the participants did! What is something you’ve learned from your students or teachers-in-training?